August 2010 | Tired, Need Sleep. I love the look and idea of Montessori botany puzzles and nomenclature cards. And I’m really trying to incorporate more Montessori elements into the activities I do with M. Autumn is on its way (many people aren’t excited about that, something I just don’t understand. Autumn is glorious and I love it. It’s not autumn’s fault that winter follows close behind!) and I know we’ll be talking a lot about trees and leaves… so I whipped up these little nomenclature cards for trees and leaves. The idea is to print two sets, then match them up while learning the names of the various parts. Each card has a different area highlighted in color, and there is one non-highlighted card titled “leaf” (or “tree”). Eventually we’ll use these as 3-part cards too, and I’ll cut the labels from the second set of cards so M can try matching up the words in addition to the pictures. For more info on how to use 3-part cards, see this great blog post. Congratulations, Lindsay. I’ll make sure I have your email and will send it to CSN! Where have the last 4 years gone? Sometimes I look at you and I am startled to see you looking like a kid instead of that chubby little laughing baby. I feel like you are still brand new – and every day I’m thankful that we have you. I don’t think a single day has gone by where I haven’t been amazed to realize you are really here, after all those years of praying and waiting for you. You are such a blessing, and your name, which means “Gift from God” is a perfect fit for how we feel. You make noise from morning till night. If you aren’t asking (hard!) questions about how things work or what something means, you are either singing, saying nonsense words and cracking yourself up, humming, or simply making various noises with your mouth. You blow raspberries on just about anyone and laugh because it sounds like a “toot”. What a boy. You give your silence-loving mama a real patience workout. You are a clown and love to make people laugh. You tell off-the-wall jokes in your “stage voice” (about an octave lower than your normal voice) and no one really gets them, but you get the laughs and that’s all that really matters. You still like to pretend you are a robot and have to “recharge your head” in the mornings. You call your hands your “Crazy Little Things” and they do crazy little things for sure… recently I found a couple of cuts in a pair of your shorts and I asked you if you had cut them with your scissors. You said, “My crazy little things did it. I kept telling them to stop, but they just kept on cutting until I finally took the scissors away.” Whew – what a windjammer, as your daddy would say! You love to fly like a bird or a superhero, depending on your mood. And we’ve had more than one trip to the emergency room because of this. You must stop climbing on the furniture and jumping (sorry, flying) across the room. I really mean it this time. Your favorite word is “hanky”. Why, oh why, is this the word you say all day long? Daddy comes home and you say, “Hi Daddy Hanky-head!” (or Hanky-legs, or whatever else you come up with). You yell “hanky” over and over at the top of your lungs in Target and your poor mama starts looking for a hole in the ground to crawl into. The cashier says, “hi” to you and you say, “hanky!” Sometimes while you are playing alone I hear you singing, “Hanky Doodle went to town, riding on a hanky…”. Good grief. You are also a thinker. You got a double dose of this trait from Daddy and me. But I think you could out-think both of us anytime. You think about how the car works, and you are obsessed with the gas gauge. You tell us if we have “half a tank”, a “quarter of a tank”, or need to fill up soon. Once, when the clock in the living room was pointing straight up at noon, you said “Look, it’s half a tank full!” You are also obsessed with batteries. You think about why metal conducts electricity but plastic won’t (Seriously? Can’t just knowing it’s that way be enough?). You wonder if there’s a lion in our woods just waiting to come out and poke a hole in your inflatable pool. You think just maybe the deer that really do come will think your pool is a real shark (it’s shaped like a shark) and will be afraid to come near Daddy’s tomatoes and he won’t have to spray them with the smelly stuff anymore. Think, think, think. You are loving and affectionate when the mood strikes you, and thankfully it does fairly often. You love to give kisses and hugs and you say, “Mommy, I love you” in a serious little voice that makes my heart fill with joy. Sometimes you blow kisses and then tell us to open our mouths so it can go all the way down to our hearts. My favorite time of day is bedtime, and not only because then it will be quiet, but because you turn into my baby again and still want me to rock you in the rocking chair for a few minutes. I love the feel of your head on my shoulder and your hair on my cheek, and all 40 pounds of you strung out over me with legs and arms seemingly everywhere. That poor wooden rocking chair creaks and groans. :) But still I won’t stop as long as you want to cuddle with me because I know soon it won’t be this way any more, and I’ll miss it so much. I love you, baby boy. And I’m so very, very proud of you. Last day for the Giveaway! Don’t forget to enter the CSN gift certificate giveaway! The deadline for entering is midnight tonight. I’ll announce the winner tomorrow! I’m getting a lot of comments on the Calendar post that went up earlier today. I actually wrote and posted that post last December. The internet and Blogger went all wonky and somehow it was put in Google Reader as a new post today . I tried deleting and apparently only deleted the pics, which so very, very many of you have been kind enough to tell me. ;) The entire thing is deleted now, thank you. You can find the old post here. Don’t you love how much FUN blogging can be?! I received an advance copy of this book on Thursday evening and finished reading it Friday night. It is 300 pages of compelling action and drama, from the very beginning right through to the end. Set in Belgium, which is occupied by German forces during World War I, this is the story of an underground newspaper named La Libre Belgique (“Free Belgium”). The secret newspaper brings encouragement and hopeful news of the war to the citizens of Belgium, who are otherwise given only the biased views of the German government’s newspaper. This book was interesting on so many different levels – it is a thoughtful commentary on the power of words to fight oppressive forces; a small lesson that love will not wait until a convenient time; and just an all-around good story of suspense and intrigue as the main characters work to keep the newspaper going while knowing their lives might be the price paid. This book will be released in September – be sure to put it on your reading list! Thank you to Tyndale House Publishers for the complimentary copy of this book to review. The first printable is a set of autumn-themed playdough number mats. A long enough title, no? These are for help in learning numeral formation, practicing counting, and developing fine motor skills. Laminate them (or put them in page protectors, which is probably what I’ll do) and then use with playdough. Roll “snakes” to form the numerals, and roll “balls” to place on the objects on each page. As the number gets higher the circles get smaller, so those fine motor skills get a good workout. Also, I made this quick little chart to count with and introduce graphing. Place small items – beans, plastic counters, little stickers – in the boxes below each number. The number of items placed should match the number at the top of the column. Make sure to have 55 little items available as a control of error. The child should have just enough to complete the grid. M has already been doing this – once with beans and once with Tigger stickers. :) He loves it and loves pointing out that stairs or a triangle (or a piece of pizza, as he says) are formed when the page is finished. CSN has anything and everything you could want in over 200 hundred online stores. Anything from lights to library shelves, or toys to tables. :) They’ve got it. I love CSN stores. If it weren’t for them, we wouldn’t have been able to provide so many high quality, educational, and fun toys for M for his birthday (coming up soon!). Their prices are very competitive and the selection is unbelievable. And, I have to say, they’ve got the best customer service! I’ve been waiting to review a product from them because the wagon I wanted was unavailable, and after a couple of weeks they emailed me a 15% off coupon to use on a purchase… just because I had been waiting! I can honestly say they’ve got my business and loyalty. They are the first place I go now to find good prices on what we want and need. Now for the really good part - I have a $60.00 gift certificate to give away to one lucky reader! :) This giveaway is open until midnight next Thursday, August 26th. I’ll announce the winner on August 27th. For your first mandatory entry, you must be a subscriber or follower of Tired, Need Sleep, and leave a comment letting me know. I’m in the middle of some minor home remodeling that started with tearing up the living room carpet one morning (my husband loves when I do this kind of thing – you can imagine just how much), and I’m trying to plan our preschool activities which we’ll be starting mid-September. I want things fairly organized and ready to go so I’m not just winging it like I tend to do. These two things are taking up any and all spare time I have. And that’s not much now that M is going to bed later and hubby is home more evenings in the summer. I love them very, very much, and am grateful that we are spending so much time together. We’ll just leave it at that, shall we? I bought a bucket of these a couple of months ago and put them out on M’s shelves as a fine motor activity. He is crazy about them! We also bought the set of two clear plastic pegboards, and he places the beads on the little pegs. Once he’s made a design he likes, I iron it for him (with the included ironing paper) and they melt together. I’m sure most of you have seen the mini version of this for older kids, but the Biggie version is a great way to start those little fingers out! But just recently he became interested in using the patterns that came with the peg boards. Then we found more patterns for them here, which was very exciting, and I was told to print them all out. 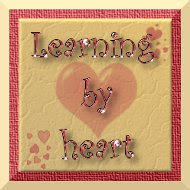 :) *Note: the patterns for Biggie Beads start at the bottom of the page that I’ve linked to. His collection so far: Honestly, I think that photo shows only part of what he’s made; we’ve gone through 2 buckets so far, but I’m not sure where he’s hoarding the rest of his creations. M will be 4 soon, and once we finish up our most recent bucket of Biggie Beads, I’ll see how he does with the smaller version. Is there a product out there that you and your child have fallen in love with? Share it in the comments – I would love to find more great products like this! 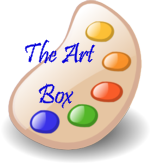 Last week the Art Box was left untouched. We had a busy week with play dates and errands, and then there was that one morning when I decided to tear up the living room carpet… :) Pictures of that, hopefully soon (although lately I can’t promise anything when it comes to blogging). Paint a little, play a little, paint a little – all day long. We had stacks of artwork by day’s end. Summer is so much fun, isn’t it? If you have a kid's art post, link it up below! Be sure to link back here somewhere in your post. I’m trying to do one planned and structured art project with M each week. He gets in plenty of self-directed art with his art easel outside and his little art box inside. MaryAnn Kohl’s book, Preschool Art has been a great source of ideas and inspiration, and this little project came straight from its pages. We both enjoyed this activity… M loved the process, and I love the beautiful result. To do this, you will need a sturdy piece of cardboard or cardstock, glue, paint in the colors you want (M chose green, yellow, and blue), a small paint roller (ours is from the craft section at Walmart), a small tray or dish to roll the paint in, and some sheets of plain paper. You’ll also need newspaper to put under your project if you are working on a surface that you don’t want painted. Next, you need to go find your leaves! This was a really fun part of the project for M – he hunted and hunted until he found the perfect leaves. Yes, we did take a few straight from our shrubs or low-hanging tree branches, but we found a lot just lying on the ground too. You’ll need fresh, flexible leaves, not ones that are dry and apt to crumble when they are being rolled with paint. Arrange them, face down, on your piece of cardboard. You want the lined and veined surface on the underneath to be face up. Once you are pleased with your arrangement, glue them in place. Put some paint in your tray and roll your roller through it. We started off with green and yellow (mostly green), then for our third print we added in a little blue. Oh my heavens, my chubby little baby has turned into a skinny big boy! Once every leaf is covered with paint, place a sheet of plain paper over the top and rub it, again gently, all over. Lift it off and you’ve made lovely leaf prints! My beloved laptop was having some issues last week and my not-so-beloved-but-normally-reliable camera was malfunctioning. Ugh. You can imagine my horror and anxiety, right? ;) Everything seems to be back to normal now, and the internet did not go away during my absence. Thank goodness. Um, not that I need the internet, or my laptop, or my camera for that matter… that would just be silly, wouldn’t it? To be honest, sometimes I think the Art Box has turned into more of a tool for me to keep M busy while I “get something done”, than just something for his enjoyment. However, he really does enjoy the freedom of being able to make whatever he wants whenever he wants. And he is always so proud of each and every creation. So many are made with a specific person in mind (to give it to), and I love to hear him talk about how much he loves them and how much they are going to love their special gift. He is definitely expressing himself through his artwork!